A new poll by Harvard’s Institute of Politics has a lot of news about young voters, Republicans and the 2018 midterm elections—none of it good. First the bad news: According to the IOP’s Spring 2018 IOP National Youth Poll, voters under the age of 30 really don’t like Republicans in general and President Trump in particular. Things were bad for Republicans last fall when 65 percent of young voters wanted Democrats controlling Congress, and just 33 percent picked the GOP—a 32 percent Democratic advantage. Believe it or not, that number has actually gotten worse. In the IOP’s new poll, the GOP now trails Democrats by 42 percent, 69-28, when it comes to partisan preference among young voters. The same with President Trump, whose dismal approval rating among young voters a year ago (32 percent) is now down to an abysmal 25 percent. To put that number into context, President Nixon’s overall approval rating when he resigned was 24 percent. Republican partisans tend to dismiss bad poll numbers from the under-30 set because of they don’t tend to turn out on Election Day, particularly for midterms like 2018. Which is why the worst number for the GOP in this new poll may not be the depth of the partisan divide, but the height of the political passion. “We’re seeing a voter intensity among young people unmatched in recent times, and it will only get hotter as the election nears,” Della Volpe said. If that intensity holds up, the GOP’s chances of holding the House will be completely washed away. Consider a state like New Hampshire, where Republican Gov. Chris Sununu won in 2016, a presidential year, by just 3 points. (He lost among young voters by 5 points, by the way). In midterm elections, turnout among under-30 eligible voters in New Hampshire averages just 20.3 percent, according to research by the Center for Information & Research on Civic Learning and Engagement (CIRCLE) at Tuft University’s Tisch College of Civic Life. If 37 percent of young voters actually do turn out in New Hampshire this November, Sununu and the state GOP will be wiped out by a Democratic tidal wave. Is it likely that youth voter turnout in the Granite State will nearly double over its average, from 20 up to 37 percent? Probably not. But even if it just goes up by 25 percent, Republicans like Sununu will struggle to hold onto office. Which may be why Tufts CIRCLE ranks Gov. Sununu as one of the 10 governors most vulnerable to the impact of young voters in 2018. Then there’s the impact on congressional races. If under-30 voters really do turn out as the IOP poll indicates, competitive districts like NH-1 (Democratic incumbent Carol Shea-Porter isn’t seeking re-election) become an almost-certain lock for Democrats. More bad news for Republicans. And once again—it gets worse. The left-leaning Voter Participation Center tracks the voting behavior of demographic groups like Millennials, unmarried women, minorities, etc. and their influence on election outcomes. 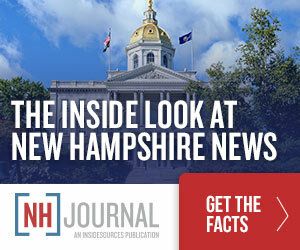 Their most recent report found that this group, which includes voters under-30, makes up a smaller segment of the New Hampshire electorate than in any other state. In other words, the Granite State may be as good as it gets for the GOP. And right now, it looks very, very bad.